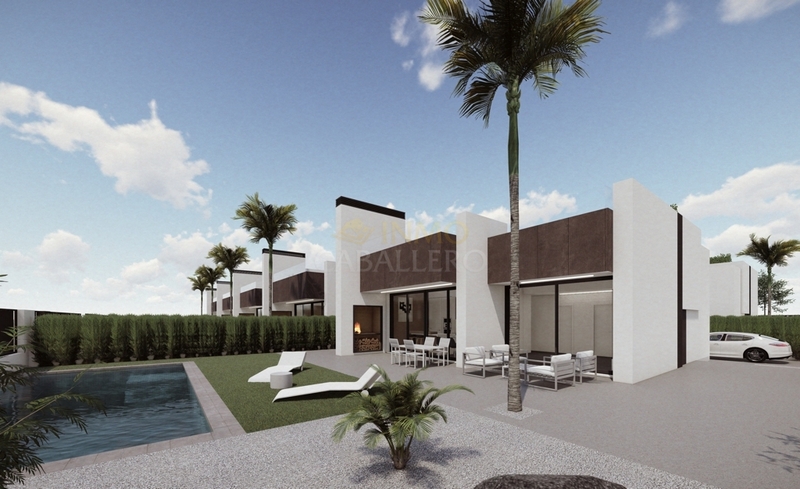 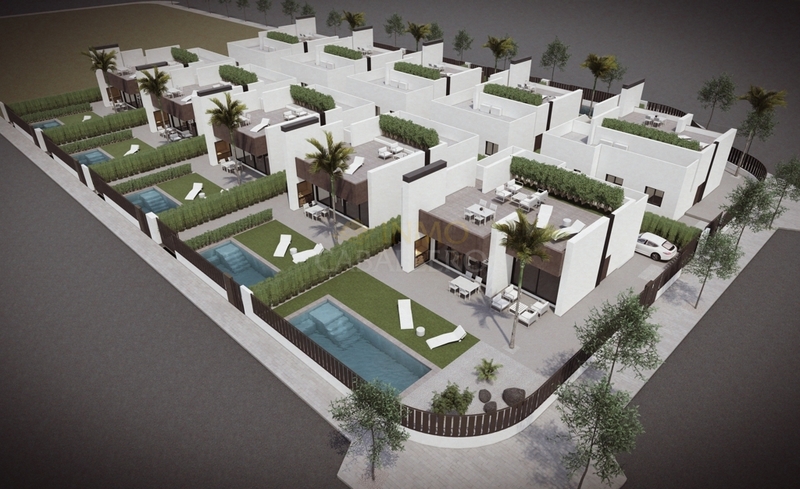 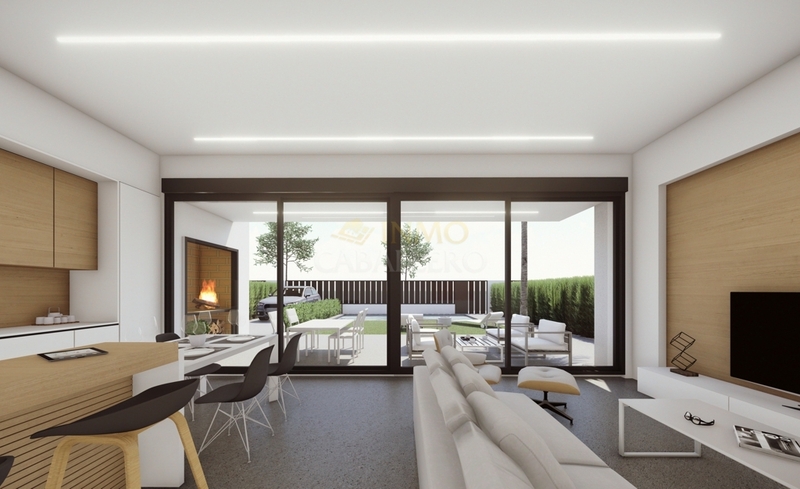 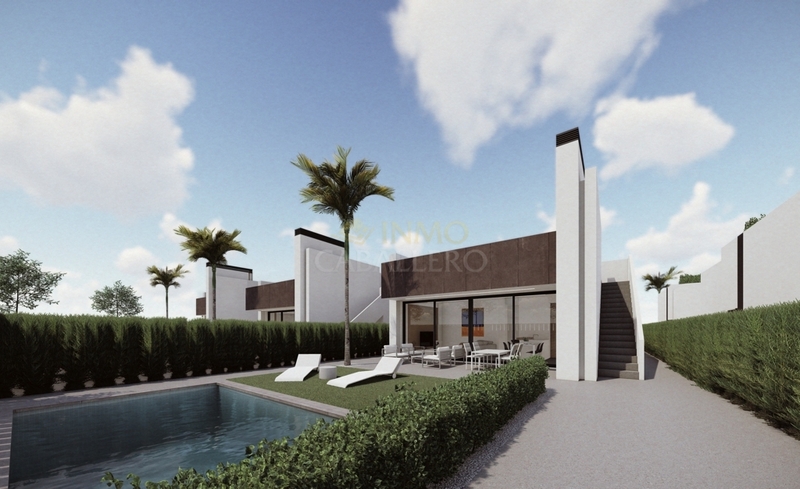 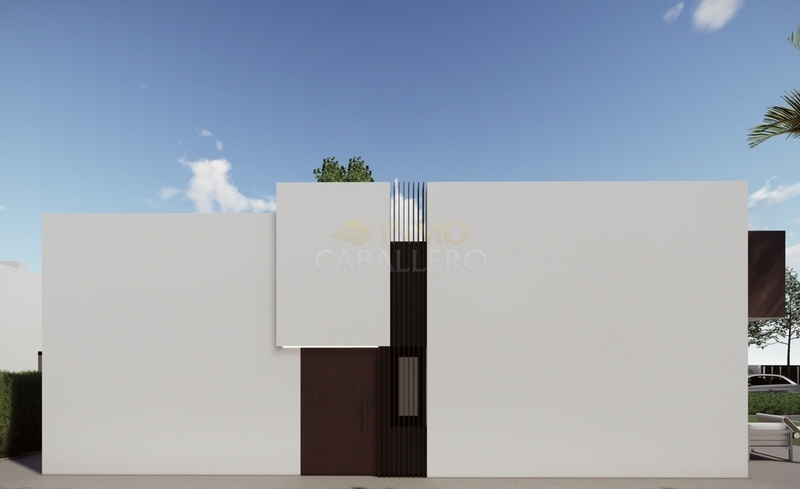 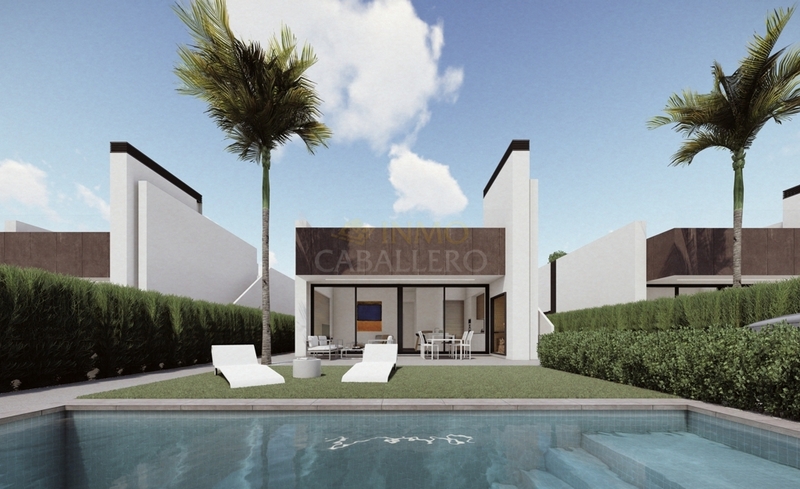 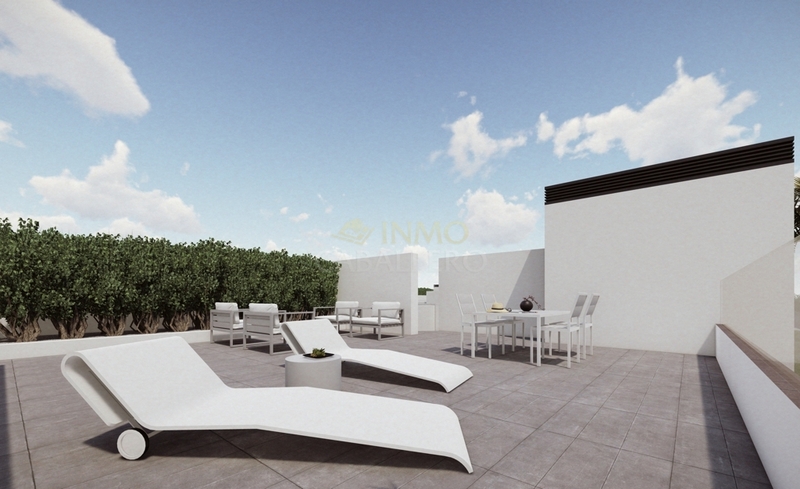 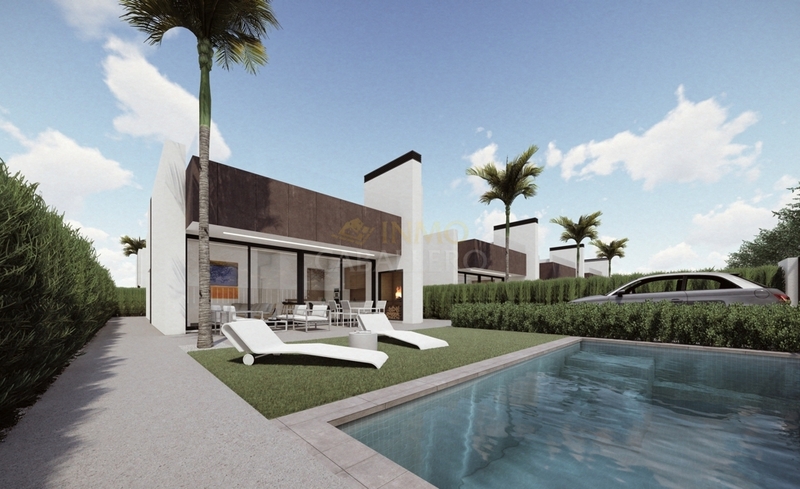 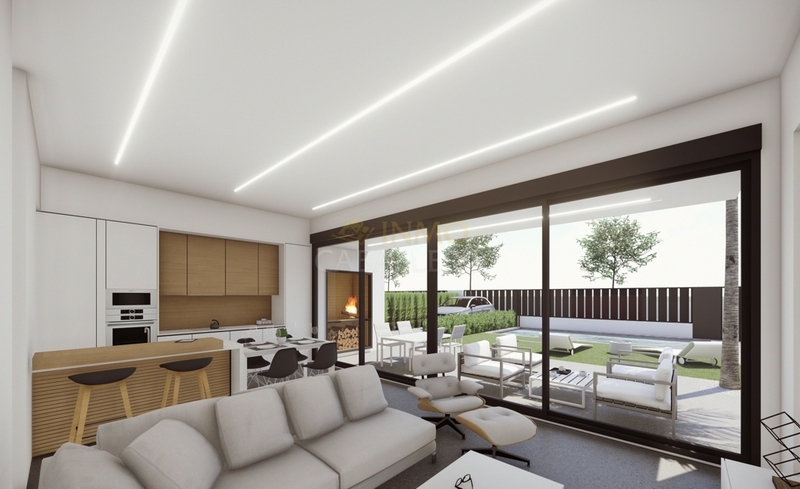 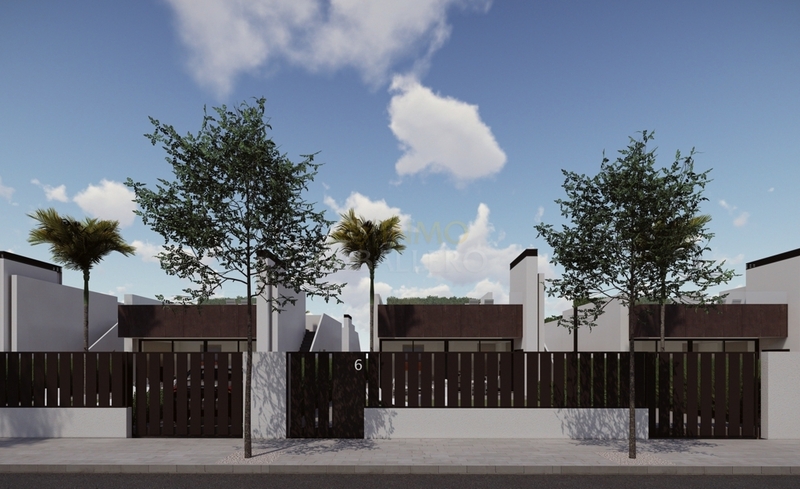 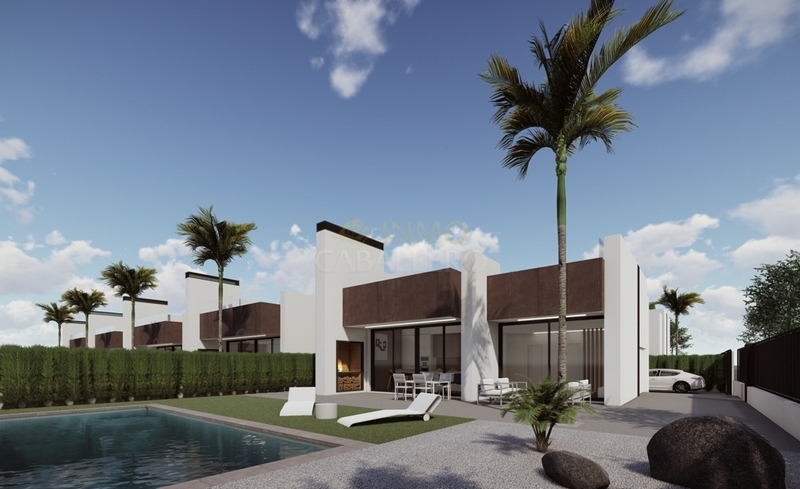 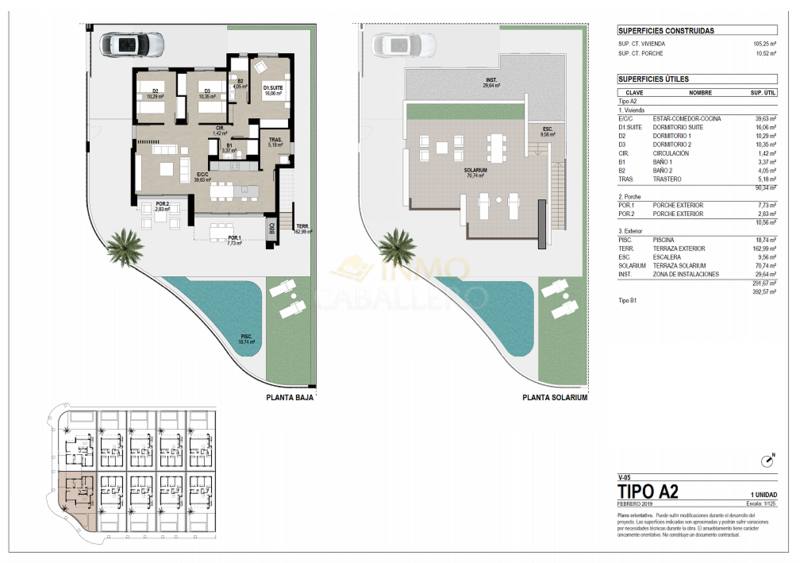 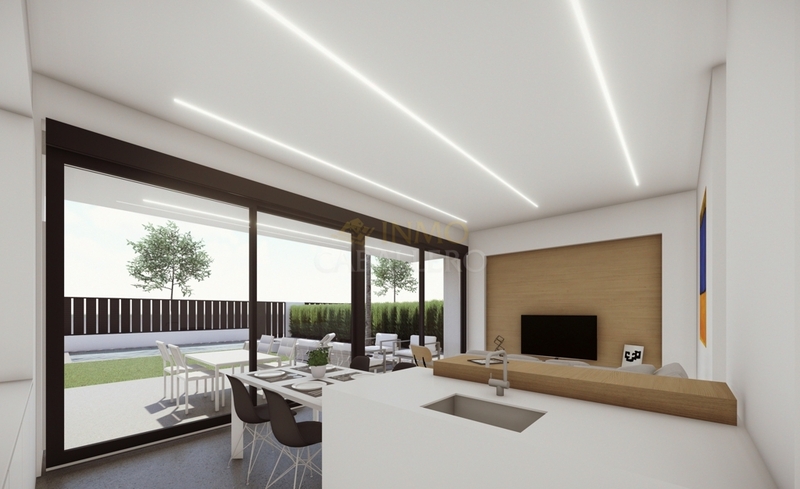 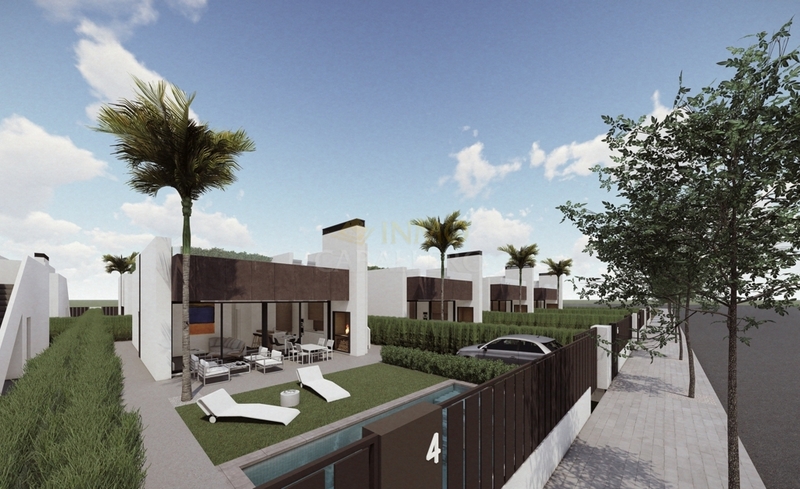 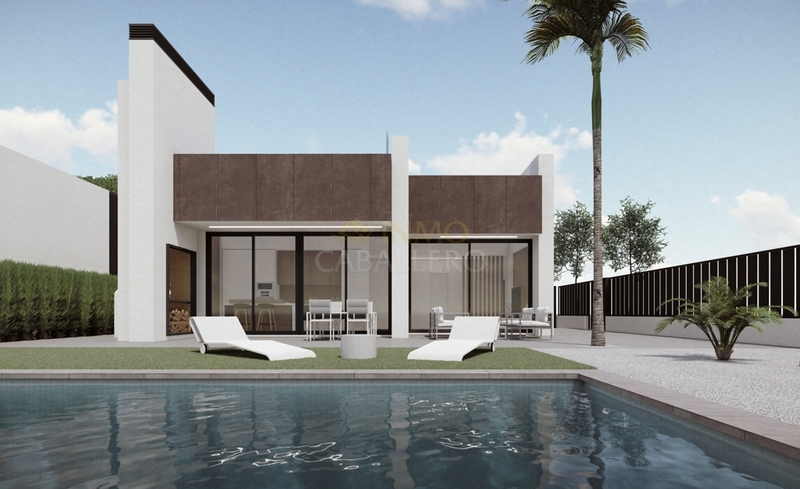 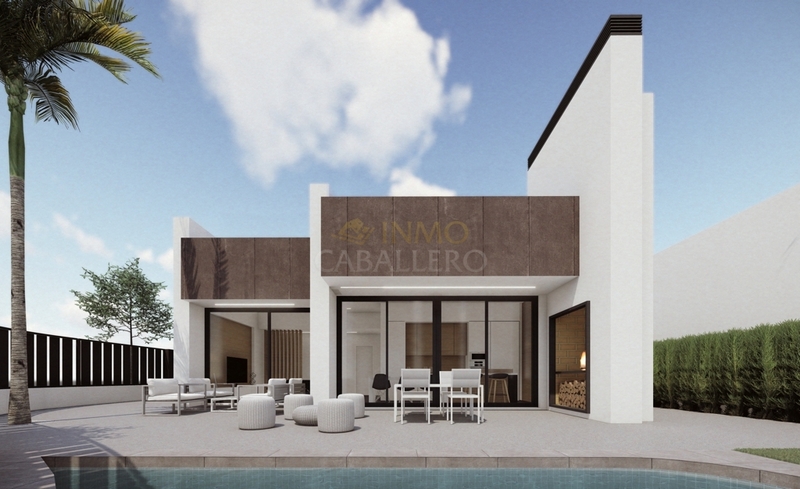 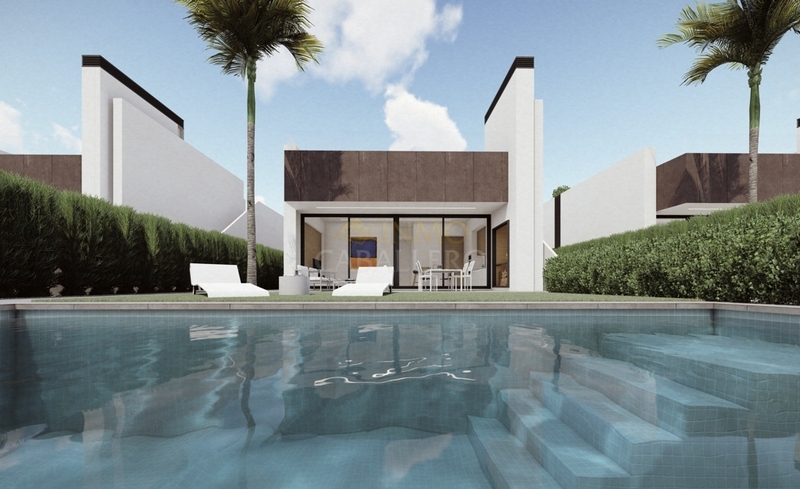 New modern villa on 128.5m² comprising 3 bedrooms - 3 bathrooms and 1 private pool. 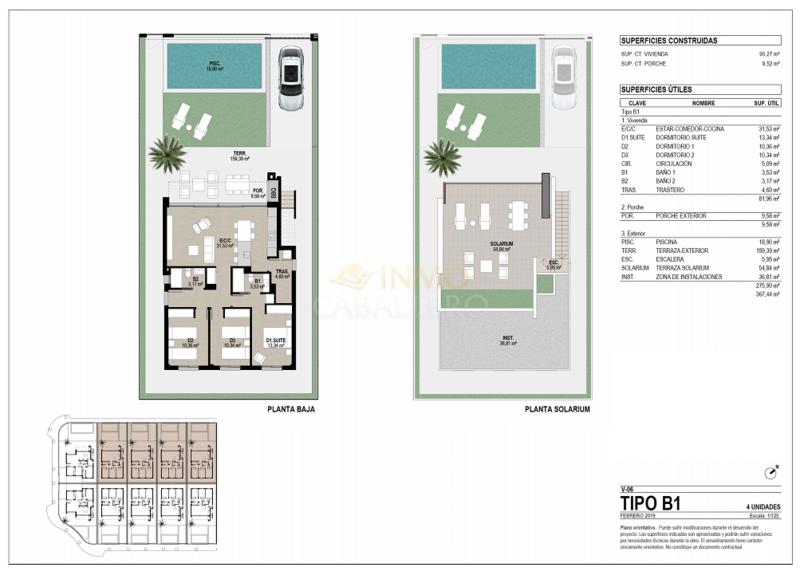 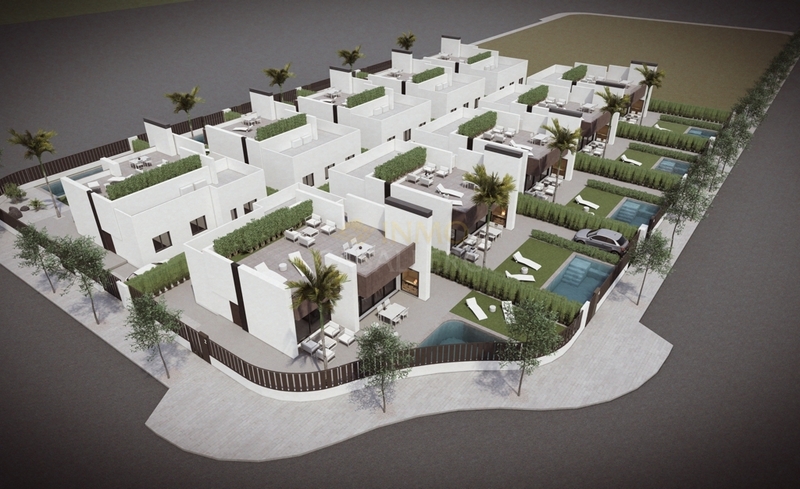 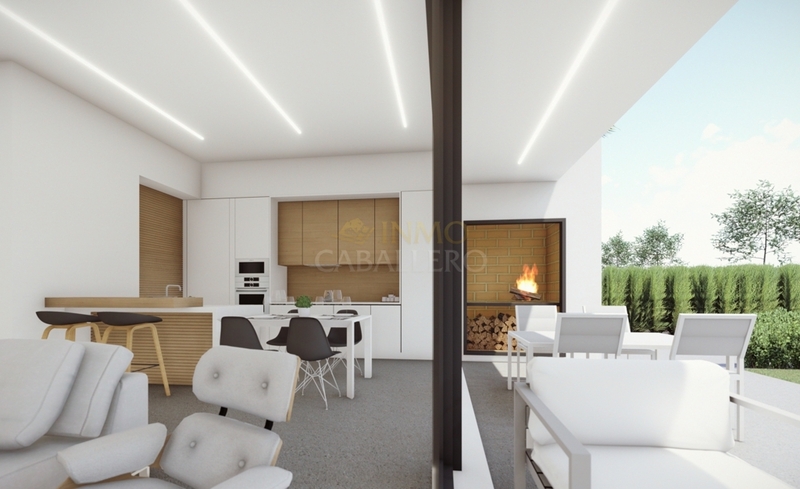 It consists of: a covered terrace, 1 living / dining room with open kitchen, 3 bedrooms, one en suite with its own bathroom and 1 shower room, 1 storage room. 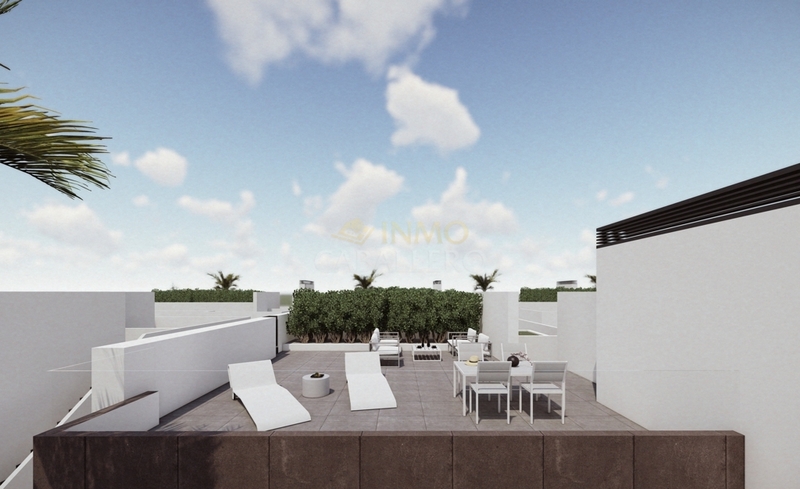 Outside: a semi-covered terrace with barbecue, 1 staircase lead to a solarium, garden with swimming pool of 6x3,2 and 1 parking place. 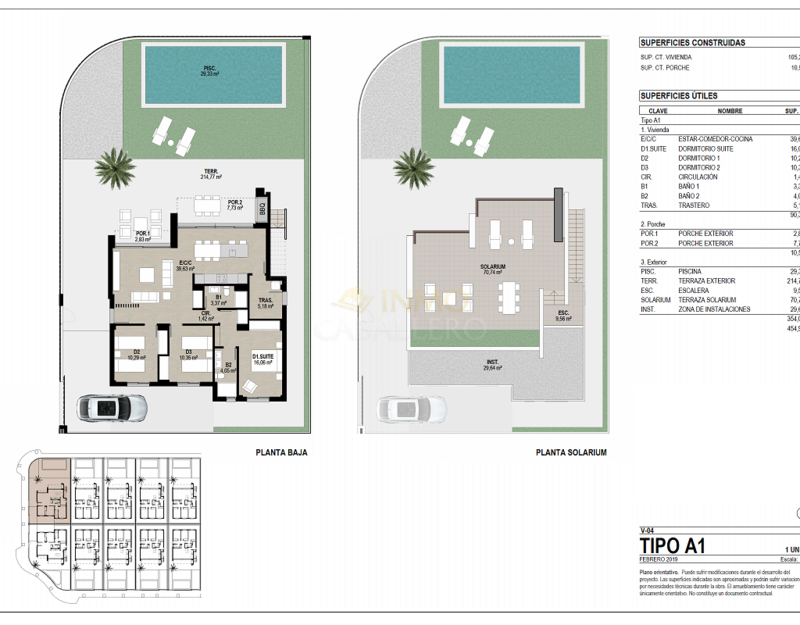 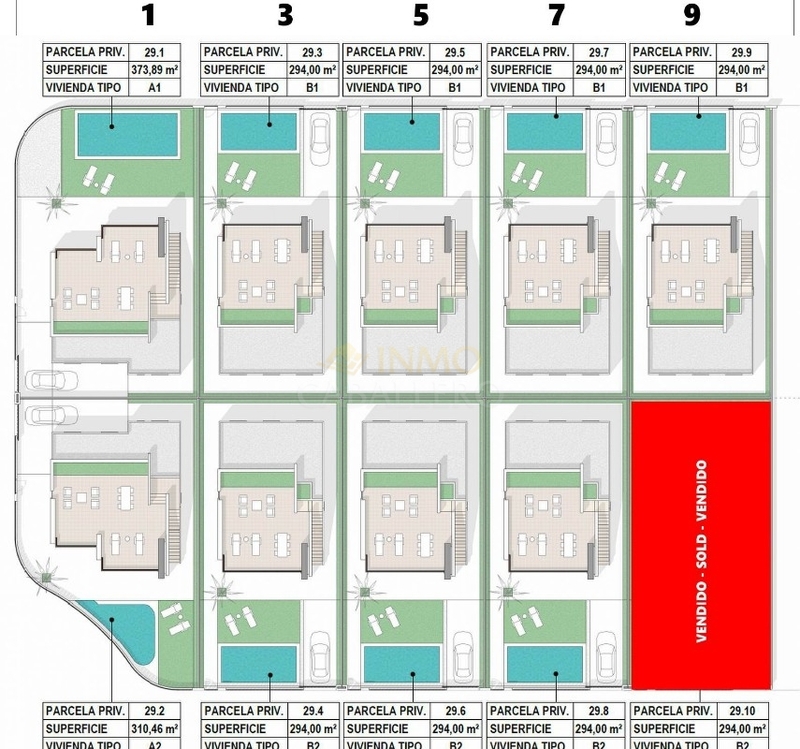 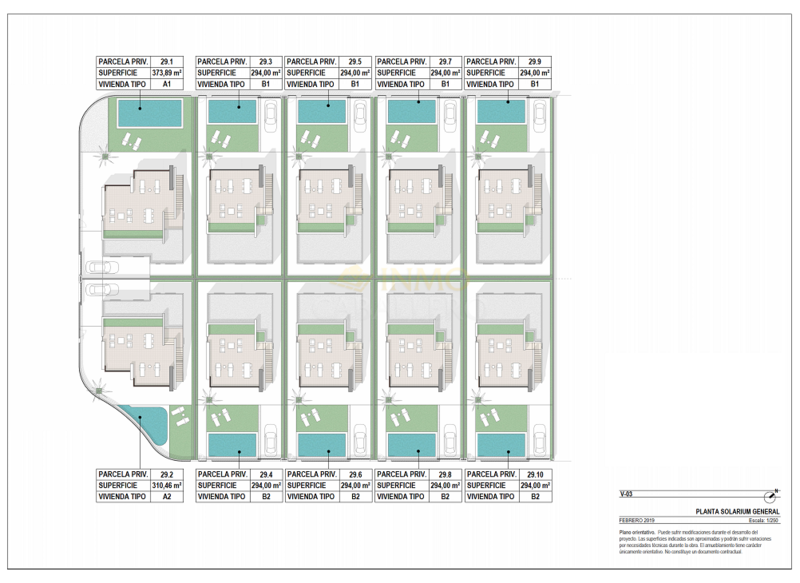 house from 95,27 to 105,25m² for corner houses.